When it comes to giving a gift for a special occasion, there can be no greater and thoughtful gift than Personalized leather bracelets. There are many reasons why this is so, here are just a few! Personalized bracelets offer a bit of sentimentality between the giver and receiver. There is a genuine joy when receiving this as a gift and the look on the recipient’s face can bring much joy to the giver as well. Depending on what type of personalization is made, it can be a reminder of a certain aspect or lifestyle that means a great deal to the wearer. They will cherish this gift forever, that can be assured. Leather bracelets are also quite fashionable. No matter what personalization is made, the bracelet is virtually guaranteed to be a fashion icon. The leather can be dyed literally any color that the wearer likes so it can be matched with any clothing whatsoever. Even though leather has been around for a long time, there is still something mysterious about it. There is an air of mystery about people who adorn themselves in leather which can be quite enticing. 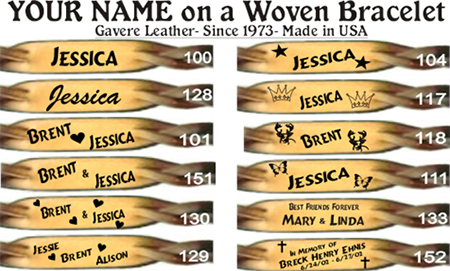 Personalized leather bracelets are very durable. Anything made from the flesh of animals is bound to last a long time. This is especially true when talking about leather and leather products. The leather bracelet is assured to last a long amount of time. This will be a gift which can even be passed down from generation to generation. As you can see, there are many reasons why leather bracelets make a great gift. From the sheer beauty or handsomeness of them to the durability of the leather itself, there is no reason to NOT buy a leather bracelet for the loved one in your life. This entry was posted in Bags and Accessories, Business Ideas, Fashion trend, Gift idea, Holiday/Occassion and tagged bracelets, gift ideas, leather bracelets, personalized leather bracelets on January 14, 2019 by Mommy Yam. 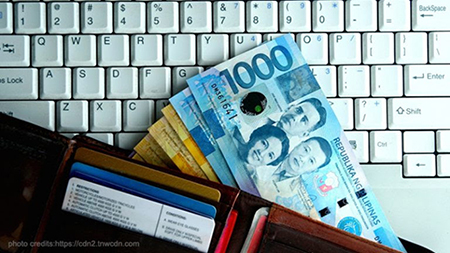 Top 5 tips from entrepreneur Armand Bengco to make that money go-round for a prosperous year! Bengco emphasizes that importance of being present and active in the financial world. Having an account outside your payroll account allows you to build a relationship with your bank. Also, you can assign one account to be reserved for savings and the other for expenses. Bengco recommends getting a checking account because a check is not only in your name, but the bank’s. The bank itself lets you borrow money in their name – this gives you credibility and an even better foothold in the financial world. Set a percentage of your income that you need to save and stick to it. It doesn’t have to be a big percentage – you can even start with 10%. Savings should be the last thing you touch, so make sure when you’re planning on how much of your income will go to your savings, you’ve already properly allocated your funds to cover all your expenditures. Bengco shares his personal venture into male vanity in the form of Backalley Barbershop – a way for him to diversify his income. Savings are important but investing allows you to grow and protect your money. Imagine if you only had one source of financial security, like your savings or business. Having a diverse source of income won’t leave you bankrupt at the end of crisis. Insurance today already covers life/living benefits. Before, insurance only had death benefits. But insurance has developed and improved today and among the benefits are paying off debts, unforeseen expenses, and securing your dependents’ futures. Armand Bengco is the Co-Founder and Executive Director of the Colayco Foundation for Education, Inc., as well as the Co-Founder and General Manager of Kapatiran sa Kasaganaan Service and Multi-Purpose (KSK-SMP) Cooperative. He hails from a family of established financial and investment practitioners. He has a wide experience in personal finance, government, manufacturing, self-employment, and information technology. Mr. Bengco is the host of Global News Network’s Pisobilities at the Business Portal and DZRH-TV’s Pera Pera Lang Yan and Seminar School Plus. A regular also in GMA News TV’s Pisobilities TV Program and radio host in DZXL-RMN’s Pisobilities. He regularly conducts financial seminars and workshops in line with the foundation’s advocacy. This entry was posted in Business, Money matters, Saving tips and tagged money tips, personal finances, tips on savings on January 10, 2019 by Yami.